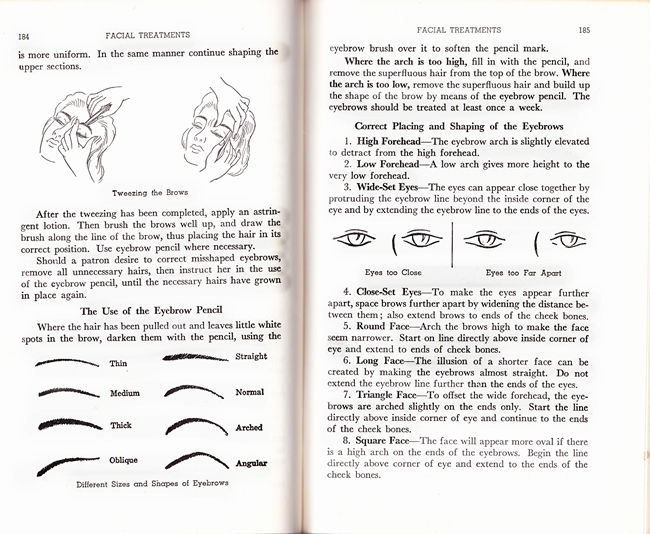 I thought you might enjoy these pages on how to shape your eyebrows, use eyebrow pencil and get the right brow shape for your face. 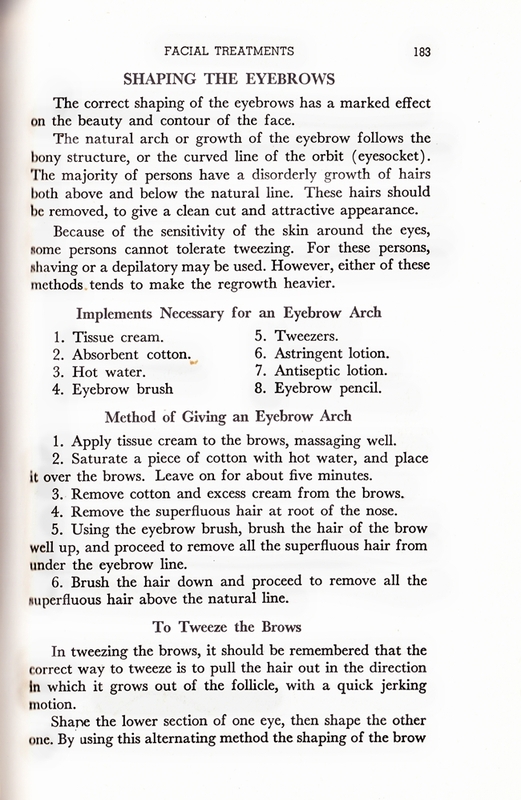 This is from The Standard Textbook of Cosmetology from 1950. Although it has a lot of textbooky stuff in it, it has some really good information on beauty basics that you can do at home. I'll be posting more from this book soon! I've been using the ELF brow kit for ages and really like how natural it looks. It's a combination of creamy pigmented wax on one side and powder on the other. The wax keeps hairs in place and fills everything in but doesn't look so penciled in and sharp. I usually use only the wax but sometimes I do use the powder which gives a lighter, more softened look. What kind of brow filler do you use? Lovely post, sweet gal - it's amazing, isn't it, how much certain eyebrow styles can instantly give one the look of a particular era? My own brows are very, very sparse (I only have the first half - the part closest to my nose - on both, the hair on the other half fell out when I was a teenager and never grew back) and I only ever need to pluck the occasional stray hair. To help fill them in, I actually use a auburn-y brown eyeliner from CoverGirl (called Chestnut 212) because, unlike all the actual brow specific products I've tried over the years, it doesn't irritate my sensitive skin. I love ELF products..so reasonable and great products for the price! 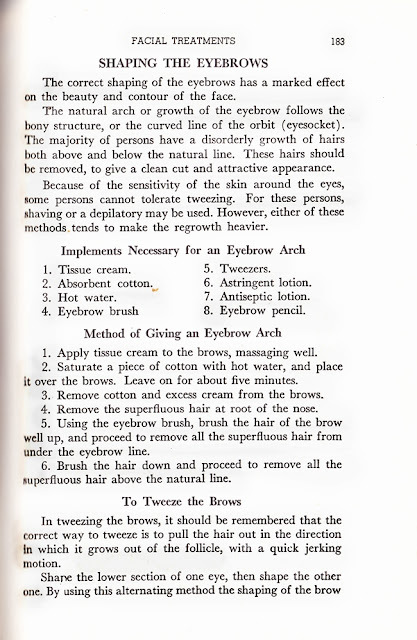 I'm also slightly *very* obsessed about tidy eyebrows ;) Thanks for the great post! Wow, ELF Is quite cheap. I've been using Smashbox recently. The eyebrows are really taken seriously in this book lol. Love it. 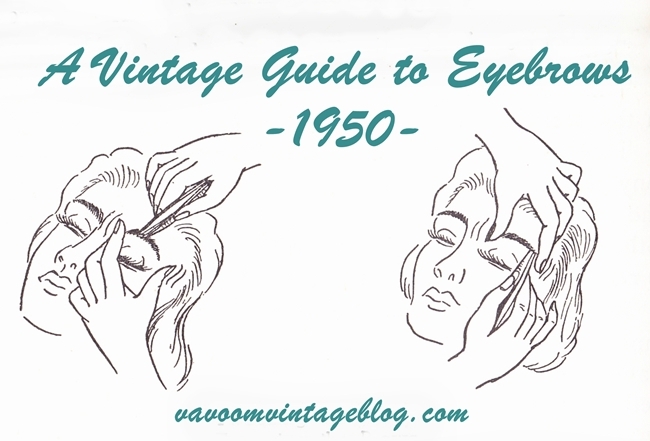 Eyebrows definitely make a vintage look IMHO. Even if i'm running late, I always do my brows + mascara + lipstick. Have you tried Illamasqua? (not sure of the cost in the USA though). They do an eyebrow cake that last forever! I bought mine (Stark, for redheads) a year ago and i've barely made a dent in it ;).